Shire Bradley Log Cabin is available in 3 different sizes (7x7 / 8x8 / 9x9) making it an extremely versatile timber building ideal for many uses. All of the sizes have a ridge height of below 2.5m. 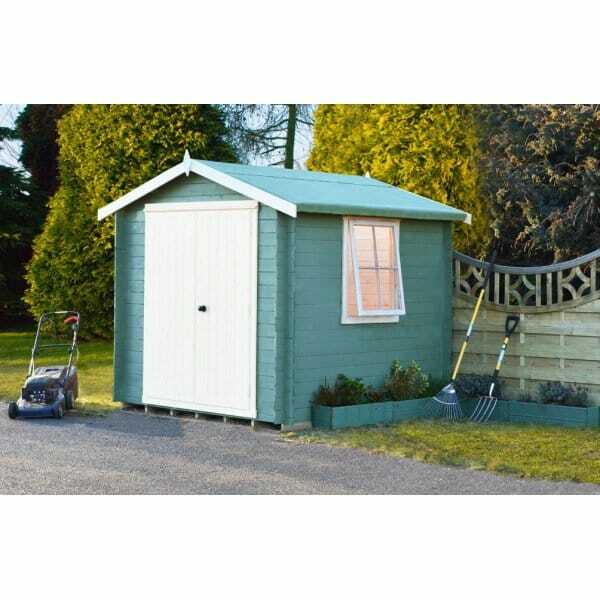 The Shire Bradley Log Cabin would make an ideal garden office or a sturdy storage space.